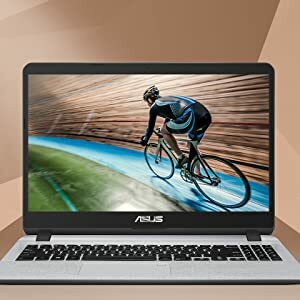 Buy ASUS Gaming F560 ( Core i5- 8th Gen/8 GB/1TB HDD / 15.6" FHD/ Windows 10/ 4GB GTX 1050) Gaming F560UD-BQ237T (Black/1.9 kg) @ 17% Discount. 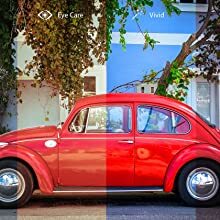 ASUS Tru2Life Video technology intelligently optimizes each pixel in the video frame to increase sharpness and contrast by 150%, so you’ll enjoy the best possible image quality! 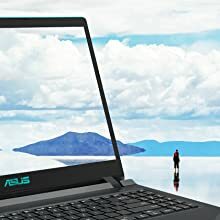 Whether you want to work or play, ASUS F560 delivers. 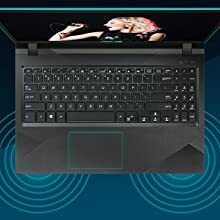 This high-performance laptop uses the latest-generation processors and gaming-grade graphics for fast, responsive computing with exceptional visuals. With its thin-bezel NanoEdge display, with a 15.6″ FHD, F560 has high screen-to-body ratio that means you get more screen area in less space, for a totally immersive viewing experience. F560 is powered by latest Intel Core i5-8250U processor 1.6 GHz (6M Cache, up to 3.4 GHz). It includes 1TB 5400RPM SATA HDD (FireCuda) with NVIDIA GeForce GTX 1050 GDDR5 4GB Discrete Graphics Memory. 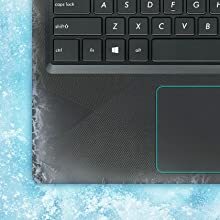 ASUS IceCool technology uses smart fan control, thin heat pipes and clever engineering to create an efficient cooling system that keeps the average palm rest surface temperature below 36 degree Celsius lower than body temperature – so your laptop stays cool and you stay comfortable. 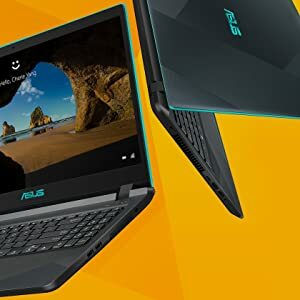 Best Cheap Deals For Asus Computer & Laptop, Grab Cheap ASUS Gaming F560 ( Core i5- 8th Gen/8 GB/1TB HDD / 15.6" FHD/ Windows 10/ 4GB GTX 1050) Gaming F560UD-BQ237T (Black/1.9 kg) Online.